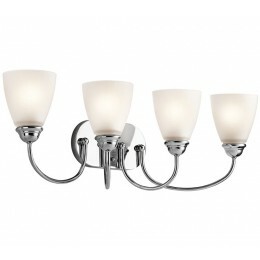 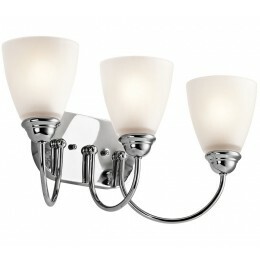 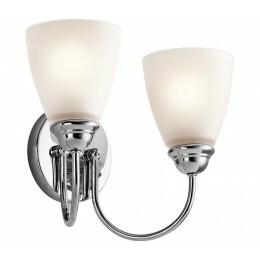 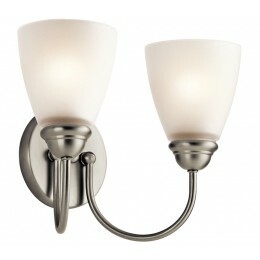 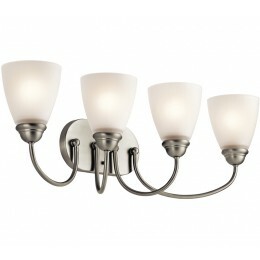 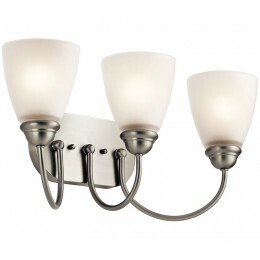 Enjoy the splendor of this Brushed Nickel 2 light bath light from the refreshing Jolie Collection. The clean lines are beautifully accented by satin etched glass. 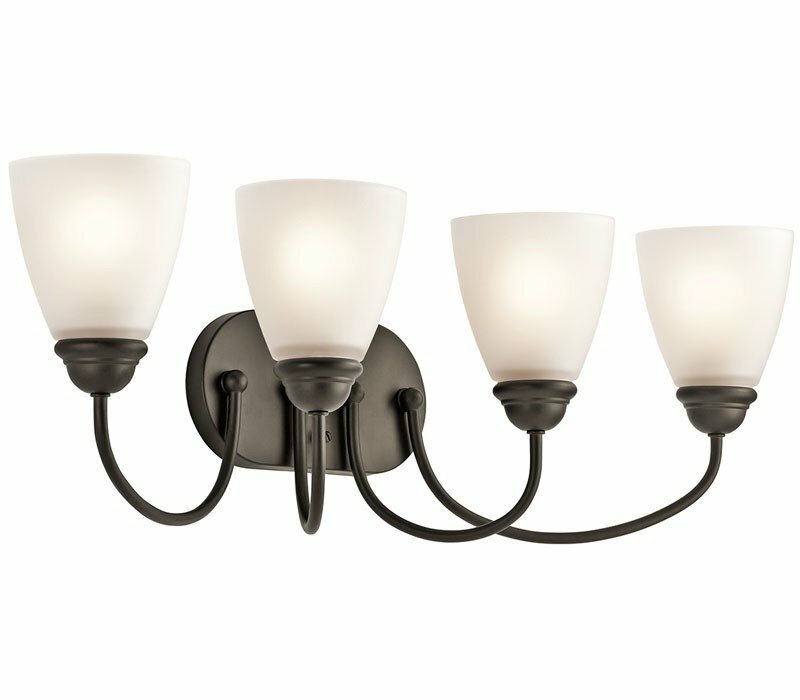 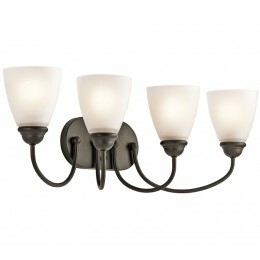 Jolie is the perfect transitional style for a variety of homes. 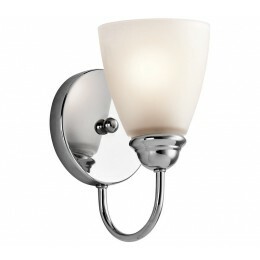 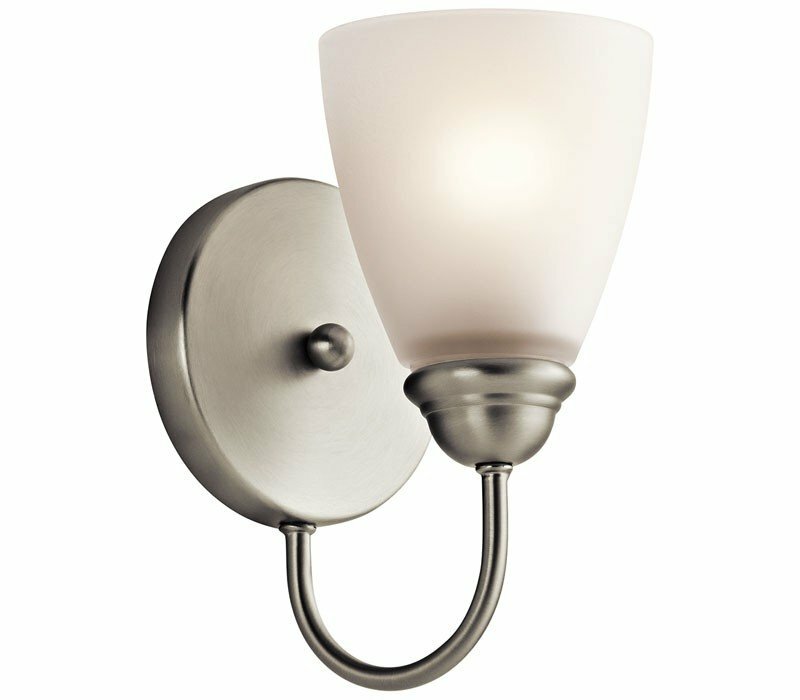 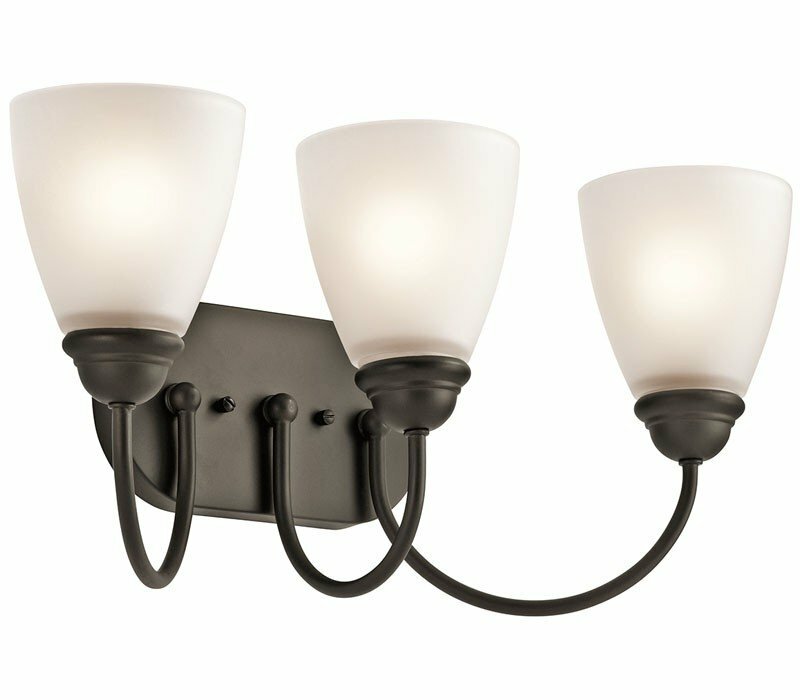 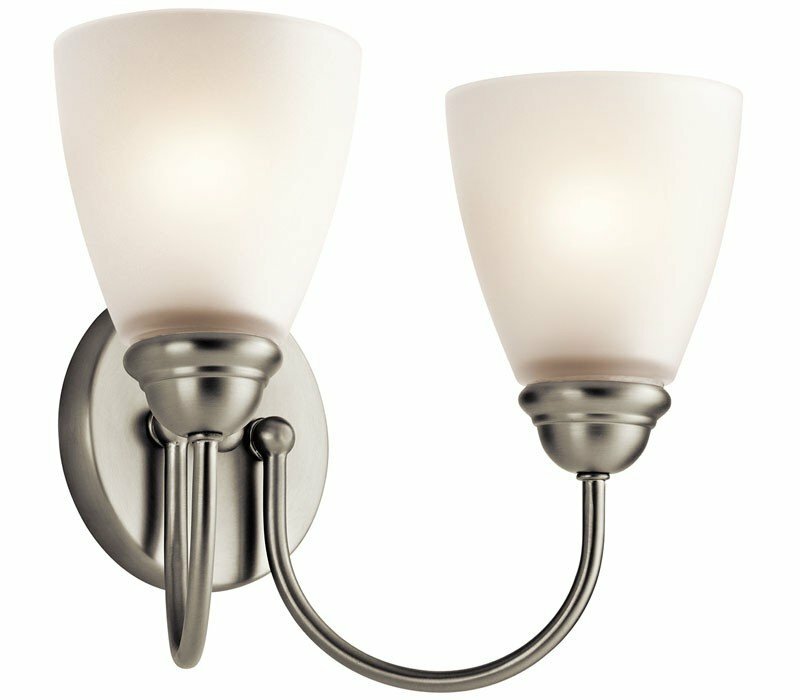 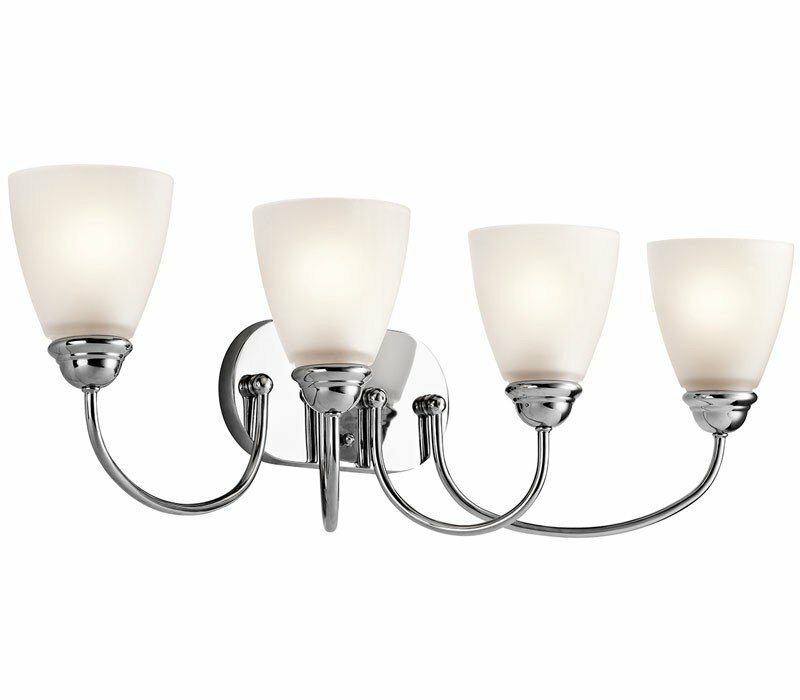 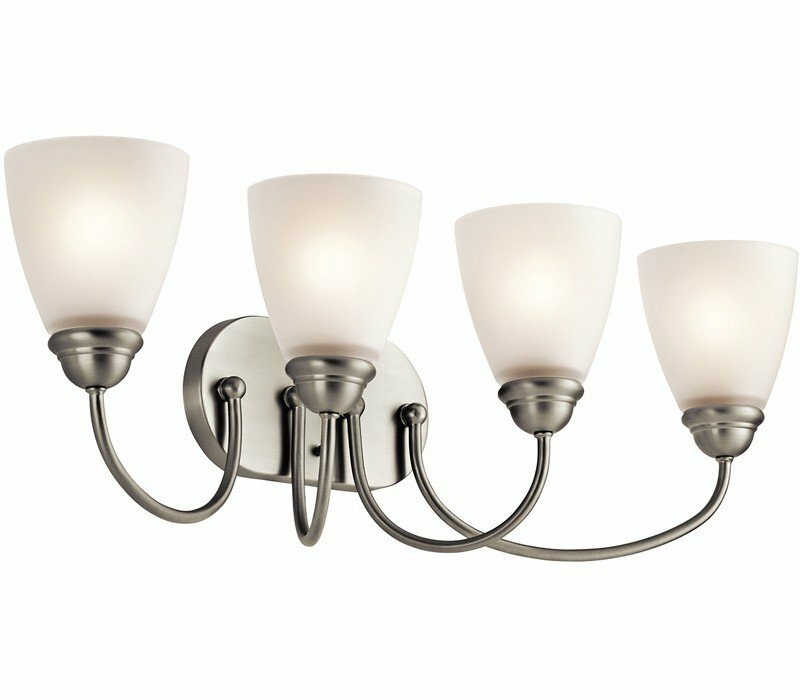 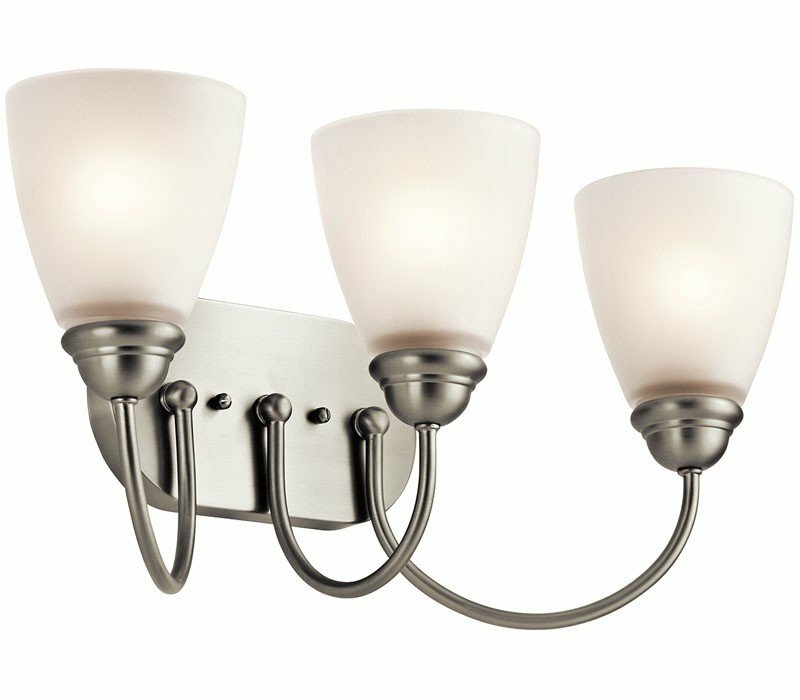 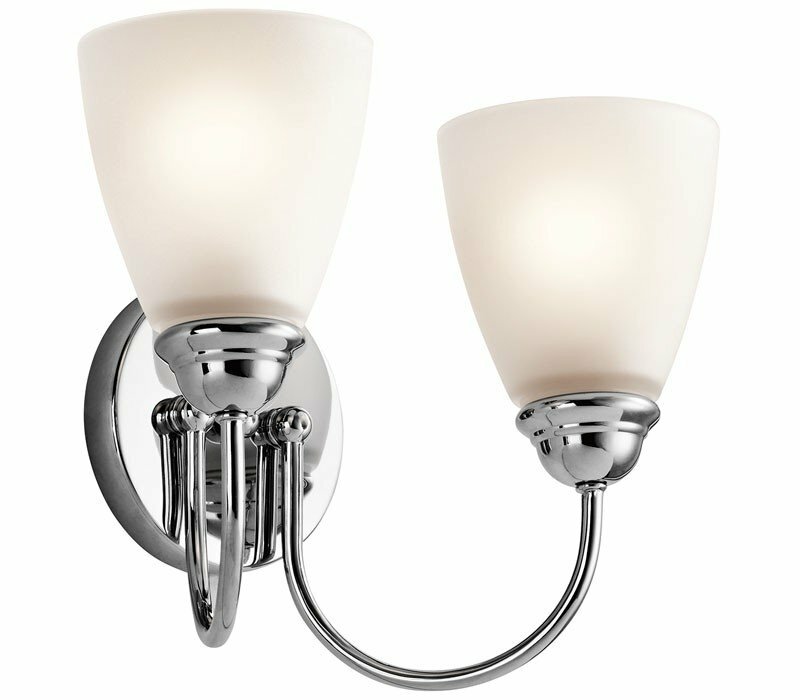 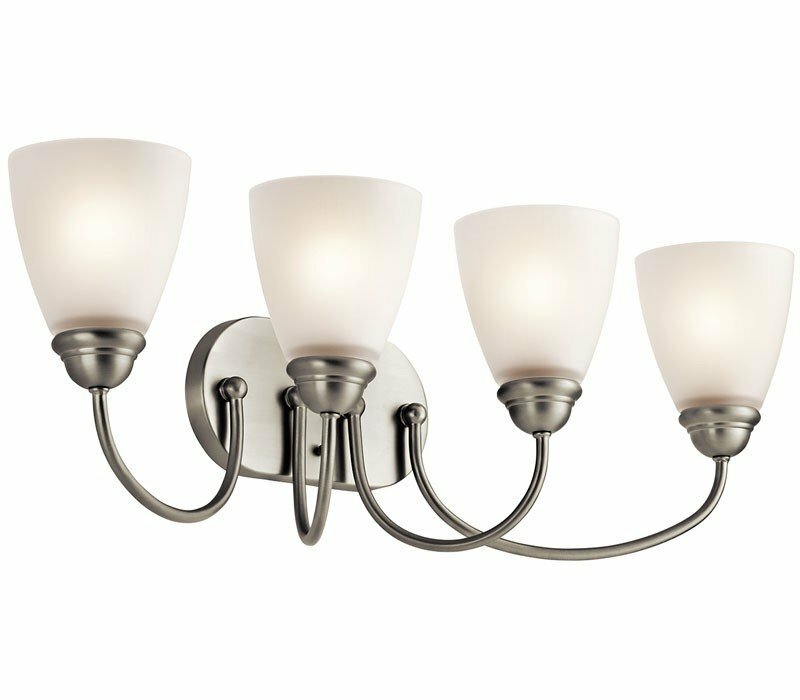 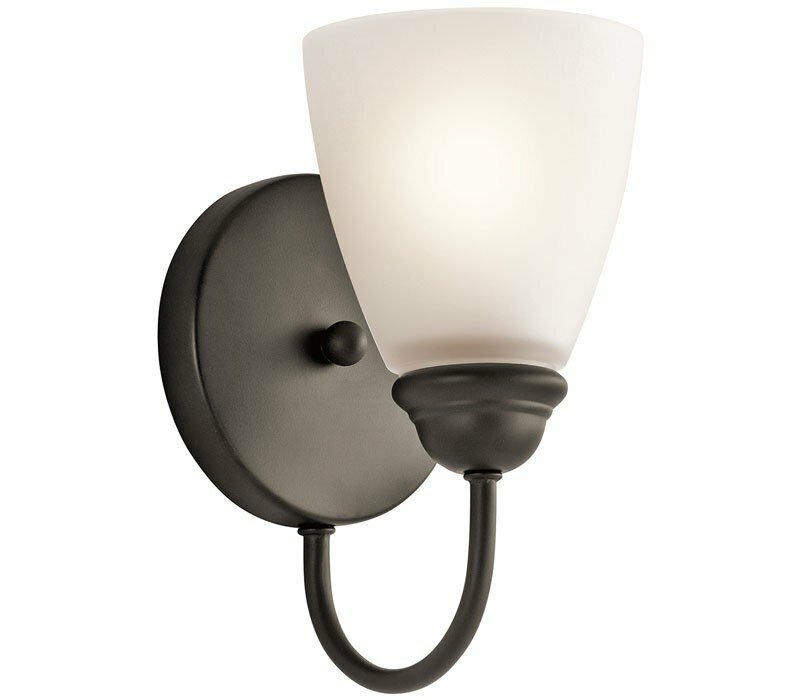 The Kichler 45638NI Jolie collection Vanity Wall Lighting in Brushed Nickel uses Incandescent light output and brings Contemporary style. 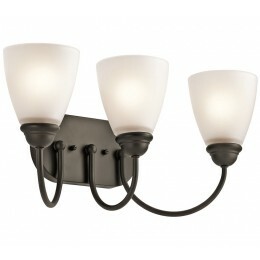 This item is 9.25"H x 13"W. The total wattage is 200 and the voltage is 120 volts. 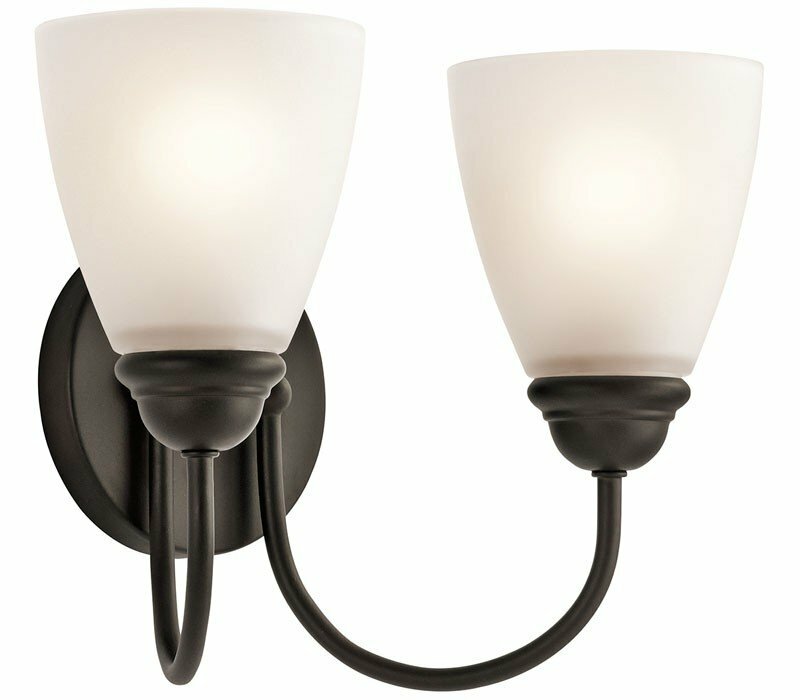 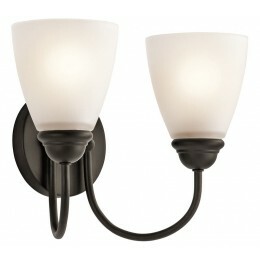 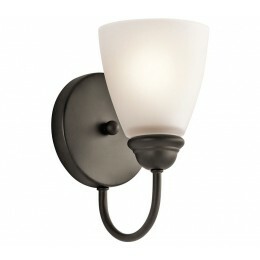 The Kichler Lighting 45638NI requires 2 bulbs (not included). 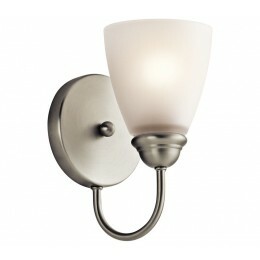 Additional Information: Shade-Satin Etched Glass.